Today, I’m going to provide a detailed DBN Review. DBN is also known as Downline Building Network. Founded by Gerald Peters in 2006, it is a mail order marketing system (business opportunity) that can be used as a standalone business or as a way to help you promote other income opportunities. NOTE: This original post was originally written more than five years ago, long before I became affiliated with DBN. I have since updated the post. The first question you need to ask yourself is “why mail order?” Here you are on the internet, reading a blog post about mail order. All I can tell you is this: mail order has been around A LOT longer than the internet. It’s more than 100-years old and it isn’t going away any time soon. Mail order and direct mail are PROVEN marketing strategies. Even the big multi-billion dollar companies like eBay, Amazon and Wal-mart all use direct mail. If they do it, why don’t you? What I have found in my own experience is that building a successful online business is EXTREMELY DIFFICULT. Promoting your network marketing business or affiliate marketing business online is tough for the “AVERAGE JOE” to figure out. I’m a pretty sharp dude and it took me nearly 8-years of full-time work to figure it out and finally produce a full-time income. There is a steep learning curve, plus the internet is constantly changing and evolving. Combine that with the ultra-fierce online competition and you will see why a lot of businesses and marketers are shifting their focus back to direct mail. If I knew then what I knew now, I would have just done direct mail and mail order and never built an online business. Had I gone that route, I would have been much better off today. Mail order is simple. You pick a niche, find an offer, buy a list and mail your postcards or flyers. There is a very small learning curve. Once you figure things out, you can put everything on auto-pilot and enjoy life. To the best of my recollection, I first learned about Gerald Peters when I studied a course that was offered by Robert Blackman and Daegan Smith. It was some type of “Postcard Profits” course. I don’t remember the exact name of the course. This was sometime around 2012. They talked about a former prison guard who built a team of more than 10,000 reps, all through the mail, using cheap, ugly yellow postcards. To be quite frank with you, that really intrigued me. It still does. Once I learned about Gerald Peters, I did some research on him and liked what I found. Why should you join DBN? There are many good reasons, but I want to focus on what attracted me to the program. First off, DBN is a business in a box. It is a simple one-step marketing system. Other than mailing postcards and generating leads, his team of employees handles the rest for you. They do the follow-ups, make the sales, put the people in your downline, collect the money and then pay you. There is nothing for you to ship out. You don’t need to drop ship, have a merchant account or anything else. In addition, just about everyone fears selling. Most people would rather pull out their fingernails than sell something. With DBN, you don’t do any selling. You just mail postcards and his tools and free information do the selling for you. The next thing I like about this program is that you can earn generous immediate commissions. Most people quit network marketing and affiliate marketing because it simply takes too long to many any type of serious income. 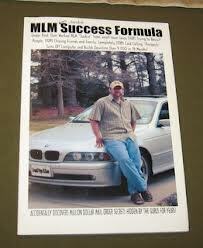 In a typical MLM Program, you earn about $2 to $8 per month, for each ACTIVE person on your team. That means you need to have hundreds, even thousands of people on your team who are actually ordering each month, to make a full-time income. It takes a long time to build a team that size and the average person will never do it. Combine that with the typical 80 to 90 percent yearly attrition in network marketing and it’s almost impossible to do. Even if you build up a big team of 3,000 to to 5,000 people, typically no more than 20% of them are ACTIVE in a given month. A good marketing system will provide IMMEDIATE cash flow, while the downline team is being built. With DBN, you earn 70% fast start bonuses on every person you refer (for their first order), plus you can earn an additional $345 per person when they buy the different training products that are available. This allows you to GET PAID TODAY, and earn ongoing monthly residual income. The third thing I really like about DBN is that it is essentially a lead service. They sell opportunity seeker leads on peel n stick labels. You can use these leads to promote your other businesses (or DBN). Let’s face it, just about every home business owner needs more leads for their business. DBN is essentially in the picks and shovels business. They sell leads and training for home business owners. By doing so, they have a HUGE target market. If you think back to the California Gold Rush, it was the brothels, saloons, hardware stores and restaurants who sold stuff to the miners who really got rich, not the miners. The fourth reason I like DBN is that you are really in a competition free zone. Just about every home business owner you talk to is trying to figure out the internet. How many people do you know are building a mail order business or promoting a business through direct mail? It’s definitely a profitable niche with plenty of upswing potential. As Gerald says, the internet is not a system. It’s a great way to communicate with others, but if you really want to succeed in a business, you need a system. The system is the solution. The final reason I really like DBN is that it doesn’t interfere with anything else you are doing. Already in a MLM Company? Great. Keep promoting that company, use the leads you get from DBN and just create another income stream. They won’t ask you to quit your other opportunity or try to control you. How about them apples? The DBN Compensation Plan is a 4×3 forced matrix. Once your matrix is filled with paying customers, you can start a new position if you want to. You even get spillover from the DBN CO-OP and from your upline. People are pre-enrolled in your business and once they upgrade you start earning commissions on them. You earn 10% on your level 1 referrals, 40% on your level 2 referrals and 20% on your level 3 referrals. The first month someone orders you get paid 70% on their order via a Fast Start Bonus. Starting their second month, the person is placed into the matrix. Fast start bonuses are paid weekly. Other commissions are paid monthly. DBN will mail you a printout of your team along with a commission breakdown each month. You must be on a monthly lead subscription to be eligible for commissions. The books and products are one-time purchases and are 100% optional. The lead service is your monthly subscription, which you can cancel at any time. You must be enrolled in a monthly lead subscription to be qualified for commissions. You are only eligible to get paid on items you have actually purchased yourself. If you refer someone who buys products you did not buy yourself, the commission is bypassed to the next qualified person upline. What do you get with your monthly lead subscription? These leads get mailed to you on peel n stick labels. You can use them to promote any opportunity you want. They only include mailing addresses, since they are direct mail leads. NOPE. People are quick to call everything a scam nowadays. DBN has been around over 12-years now. They pay on time, provide a legitimate service and treat people well. Is DBN for everyone? Of course not. What you do with the opportunity is up to you. My only regret with DBN is not joining sooner than I did. How do you succeed with DBN? First off, you need to have realistic expectations. This is a BUSINESS, not the lottery. You must commit to the program for at least 12-months. Just trying it out for a month or two is a complete waste of time. If you would like to request your free DBN information pack, you can do so by filling out the form below. You will receive your free info pack by USPS mail in 3-7 days. It will come from Charles Holmes. Well, there you have it folks. Thanks for reading my DBN review. I believe this is a great standalone opportunity or a great way to supplement your income. If you can mail postcards you can do this. No other knowledge is needed! 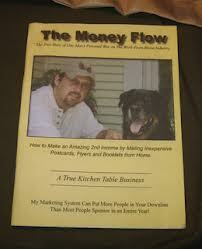 Gerald Peters has done it again by giving timely advice of how to succeed in this industry with the booklet, “The Money Flow.” I think it was a smart business move on his part to lead others on how to succeed in the direct mail marketing system in this industry. This was a very informative review. Glad you liked the DBN review. This is a legit program. I promote it myself, after sitting on the sidelines for many years. All you have to do is mail postcards and his team takes care of the rest for you. It is a true kitchen table business, if that’s something you are looking for. 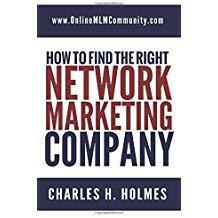 I just read your review of Gerald Peter’s MLM book. Maybe his pamphlet will be a better place for me to start, so that I can be sure I like his ideas and writing style. Thanks for introducing me to him! I would definitely go and request a free booklet. It’s 12-pages long and explains how the program works. If you fill out the form on the page here, I’ll send you the free info pack. My experience with DBN has been amazing so far. I’m 5-months in now and already have a good sized team.